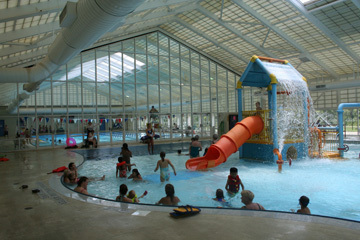 This indoor aquatic center is ideal for a rainy or cold day. 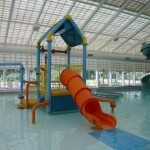 It features a competition pool, interactive play structures, a lazy river and a water slide. The zero depth leisure pool is a great environment to help your toddler feel comfortable with the water, while older kids will enjoy getting one another wet or participating in a friendly race. 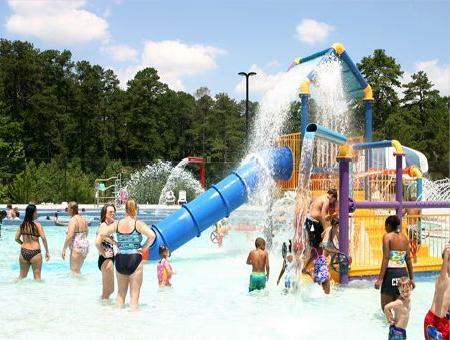 Picnic tables are available outdoor next to the pool so you can plan your picnic for a full fun day at this water park. 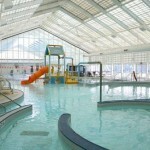 The pool is always well maintained and the staff is extremely friendly, helpful and courteous. The day I was there with my kids the water main had busted – no water, no filtering. They had to close the pool that day. But, they were giving out mapquest driving instructions to Bethesda Aquatic Center (only 20-25 minutes away).Gwinnett County always has the best staff people and life guards on duty. They’re the best – at all the centers. 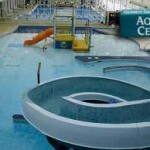 Features and indoor competition pool and indoor leisure pool with beach entry, giant waterslide and water play structures. 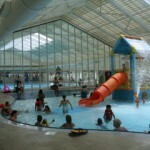 Features an indoor competition pool and indoor leisure pool with zero-depth entry, giant waterslide and water play structures. State-of-the-art aquatic centers and leisure pools make Gwinnett County Parks & Recreation (GCPR) a world-class leader in parks and recreation. Aquatic programs offered by GCPR continue to grow at a fast pace and currently GCPR operates 17 swimming pools that include two indoor and seven outdoor leisure pools, four indoor competition pools, three indoor instructional pools, and one outdoor pool. Visitors to GCPR pools will find a wide-array of amenities for both fun and learning. In addition to pool amenity offerings, we offer private, semi-private, and group swim lessons annually to all ages, from structured classes to private and semi-private lessons. Training is another area that GCPR excels in by offering lifeguard training/lifeguard instructor/water safety instructor classes annually. This training that also led GCPR lifeguards to win the Georgia Recreation and Park Association’s State Lifeguard Competition Team Championships consecutively in 2006, 2007 and 2008, and placing Second Place in the 2009 competition! FUNCARD & Resident Passport Information! SAVE MONEY by purchasing the new FUNCARD that offers discounted admission fees. 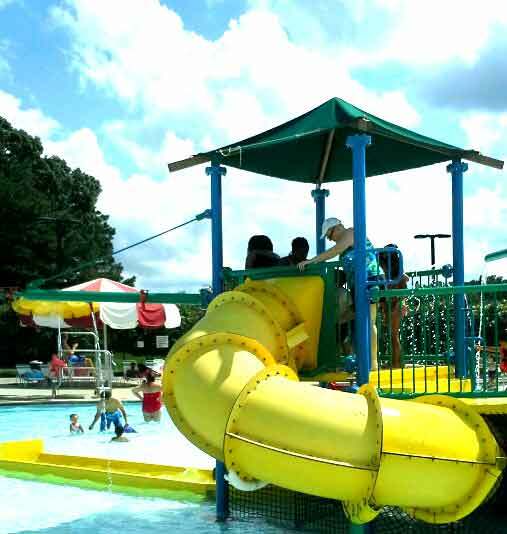 Seasonal Funcards valid Memorial Day-Labor Day (all indoor and outdoor pools) and Labor Day-Memorial Day (indoor pools only). Always Check the actual pool location for accurate hours and information. 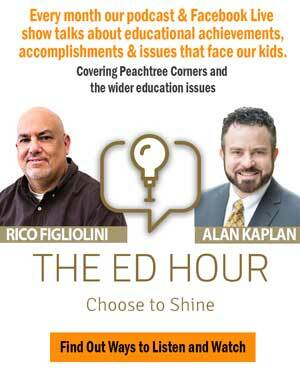 Please check the OFFICIAL Gwinnett Parks website as well. Would like to know when the next session of Tues/Thurs am water aerobics start. Can you please let me know the times and cost of the Adult Water Aerobics class? I would suggrest you call the aquatic center at 678.924.6334. Every facility is a bit different. They would know what the schedule is there.